Match ends, KRC Genk 1, Besiktas 1. Second Half ends, KRC Genk 1, Besiktas 1. Attempt missed. Ivan Fiolic (KRC Genk) right footed shot from the centre of the box is high and wide to the right. Assisted by Jere Uronen. Foul by Sander Berge (KRC Genk). Vágner Love (Besiktas) wins a free kick in the defensive half. Attempt saved. Jere Uronen (KRC Genk) right footed shot from outside the box is saved in the top left corner. Assisted by Marcus Ingvartsen. Attempt blocked. Bryan Heynen (KRC Genk) right footed shot from the centre of the box is blocked. Attempt blocked. Joakim Maehle (KRC Genk) right footed shot from outside the box is blocked. Substitution, Besiktas. Vágner Love replaces Oguzhan Ozyakup. Foul by Caner Erkin (Besiktas). Caner Erkin (Besiktas) wins a free kick in the defensive half. Substitution, KRC Genk. Marcus Ingvartsen replaces Dieumerci Ndongala. Goal! 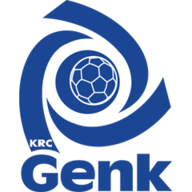 KRC Genk 1, Besiktas 1. Sander Berge (KRC Genk) right footed shot from outside the box to the bottom right corner. Assisted by Bryan Heynen. Attempt saved. Sander Berge (KRC Genk) right footed shot from outside the box is saved in the bottom left corner. Assisted by Mbwana Aly Samatta. Attempt blocked. Alejandro Pozuelo (KRC Genk) right footed shot from outside the box is blocked. Assisted by Bryan Heynen. Corner, KRC Genk. Conceded by Pepe. Sander Berge (KRC Genk) wins a free kick in the attacking half. Foul by Ryan Babel (Besiktas). Attempt missed. Jere Uronen (KRC Genk) left footed shot from outside the box is close, but misses the top right corner. Attempt blocked. Alejandro Pozuelo (KRC Genk) left footed shot from outside the box is blocked. Pepe (Besiktas) is shown the yellow card for a bad foul. Dieumerci Ndongala (KRC Genk) wins a free kick on the right wing. Corner, KRC Genk. Conceded by Oguzhan Ozyakup. Adem Ljajic (Besiktas) wins a free kick in the defensive half. Offside, Besiktas. Ricardo Quaresma tries a through ball, but Necip Uysal is caught offside. Necip Uysal (Besiktas) wins a free kick on the right wing. Substitution, Besiktas. Adem Ljajic replaces Dorukhan Tokoz. Dieumerci Ndongala (KRC Genk) wins a free kick in the defensive half. Foul by Necip Uysal (Besiktas). Substitution, KRC Genk. Ivan Fiolic replaces Joseph Paintsil. Foul by Joseph Aidoo (KRC Genk). Mustafa Pektemek (Besiktas) wins a free kick in the defensive half. Delay in match Dorukhan Tokoz (Besiktas) because of an injury. Substitution, KRC Genk. Sander Berge replaces Ruslan Malinovskiy. Attempt missed. Ryan Babel (Besiktas) header from the centre of the box is close, but misses to the right. Assisted by Ricardo Quaresma with a cross. Attempt missed. Jere Uronen (KRC Genk) right footed shot from the left side of the box misses to the right. Assisted by Joseph Paintsil. Hand ball by Mustafa Pektemek (Besiktas). Offside, KRC Genk. Ruslan Malinovskiy tries a through ball, but Alejandro Pozuelo is caught offside. Corner, KRC Genk. Conceded by Necip Uysal. Foul by Gary Medel (Besiktas). Attempt missed. Necip Uysal (Besiktas) right footed shot from outside the box is too high. Assisted by Gary Medel. Oguzhan Ozyakup (Besiktas) wins a free kick on the left wing. Pepe (Besiktas) wins a free kick in the defensive half. Attempt missed. Joakim Maehle (KRC Genk) left footed shot from outside the box is too high. Assisted by Dieumerci Ndongala. Offside, Besiktas. Gary Medel tries a through ball, but Oguzhan Ozyakup is caught offside. Second Half begins KRC Genk 0, Besiktas 1. First Half ends, KRC Genk 0, Besiktas 1. Offside, KRC Genk. Joakim Maehle tries a through ball, but Dieumerci Ndongala is caught offside. Foul by Mustafa Pektemek (Besiktas). Attempt saved. Joseph Paintsil (KRC Genk) right footed shot from long range on the left is saved in the top right corner. Assisted by Dieumerci Ndongala. Corner, KRC Genk. Conceded by Caner Erkin. Attempt saved. Ruslan Malinovskiy (KRC Genk) left footed shot from outside the box is saved in the centre of the goal. Assisted by Joseph Paintsil. Foul by Dorukhan Tokoz (Besiktas). Hand ball by Dieumerci Ndongala (KRC Genk). Attempt missed. Mbwana Aly Samatta (KRC Genk) header from very close range is just a bit too high. Assisted by Joakim Maehle with a cross following a corner. Corner, KRC Genk. Conceded by Domagoj Vida. Attempt blocked. Joseph Paintsil (KRC Genk) right footed shot from outside the box is blocked. Assisted by Alejandro Pozuelo. Gary Medel (Besiktas) wins a free kick in the defensive half. Mbwana Aly Samatta (KRC Genk) is shown the yellow card for a bad foul. Foul by Mbwana Aly Samatta (KRC Genk). Attempt missed. Alejandro Pozuelo (KRC Genk) right footed shot from outside the box is high and wide to the right. Assisted by Ruslan Malinovskiy. Attempt saved. Mustafa Pektemek (Besiktas) right footed shot from the centre of the box is saved in the centre of the goal. Assisted by Oguzhan Ozyakup. Goal! KRC Genk 0, Besiktas 1. Ricardo Quaresma (Besiktas) right footed shot from the centre of the box to the bottom left corner. Assisted by Mustafa Pektemek following a fast break. Necip Uysal (Besiktas) is shown the yellow card for a bad foul. Substitution, Besiktas. Mustafa Pektemek replaces Jeremain Lens because of an injury. Delay in match Jeremain Lens (Besiktas) because of an injury. Jeremain Lens (Besiktas) wins a free kick in the attacking half. Attempt missed. 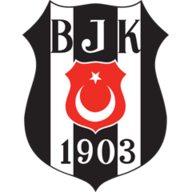 Pepe (Besiktas) header from the centre of the box misses to the left. Assisted by Ricardo Quaresma with a cross following a corner. Corner, Besiktas. Conceded by Ruslan Malinovskiy.